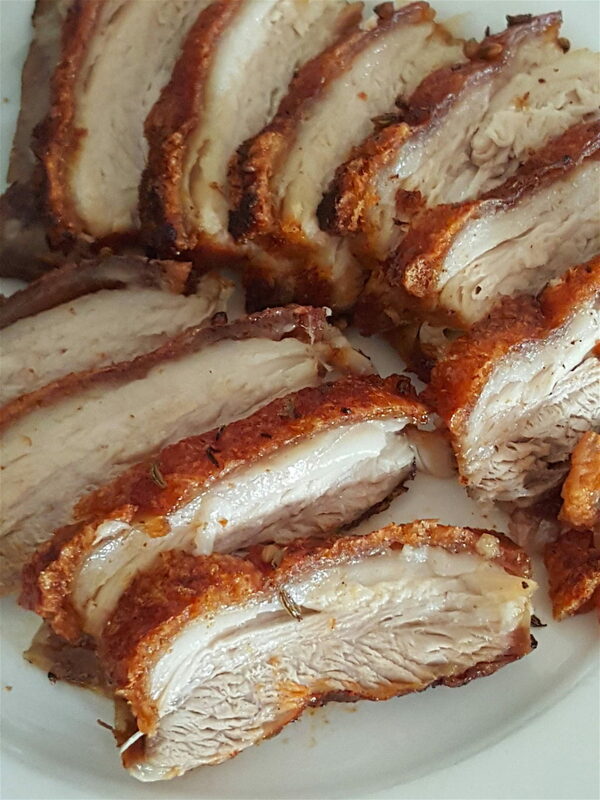 This method of cooking pork belly produces succulent meat and each slice is capped with crunchy crackling. 1 Preheat oven to 150°C (300°F). Prepare the herbs and vegetables and put them in a heavy-based casserole or similar. Add white wine. 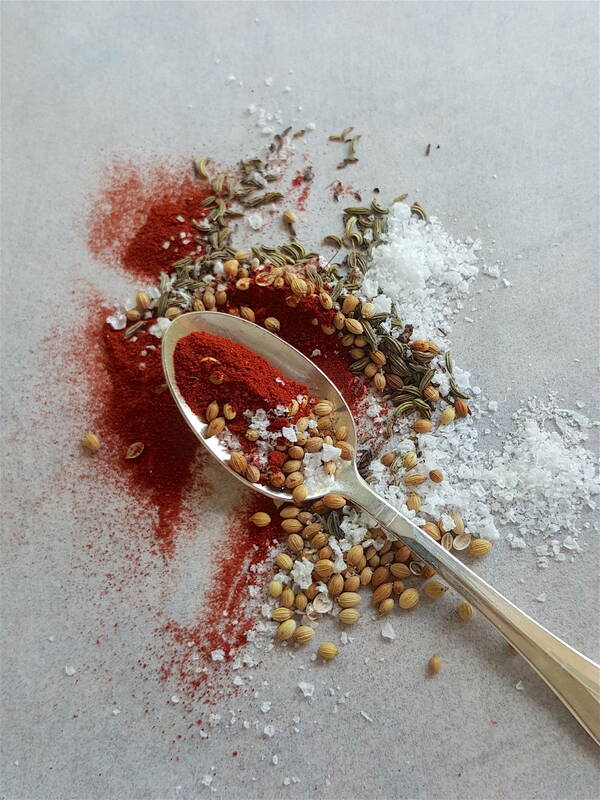 2 Mix rub ingredients on a plate and rub over the meaty side of the pork. 3 Transfer pork to casserole meaty side down, smearing the top with any rub you have on your fingers. Cover casserole with a lid. Cook pork for 2 hours. 4 Remove casserole from oven. Increase heat to 220°C (425°F). 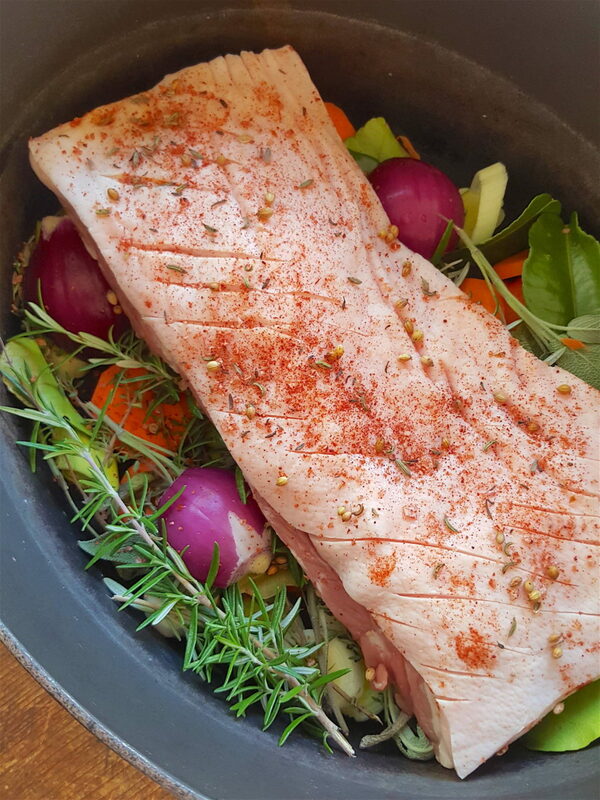 Transfer pork to a shallow ovenproof tin and return to the hot oven for 25-30 minutes until the pork crackles. Transfer pork to a board and let it rest for 10-12 minutes. 5 Slice pork with a sharp knife (see Recipe Notes) and transfer to a heated platter. Serve immediately. 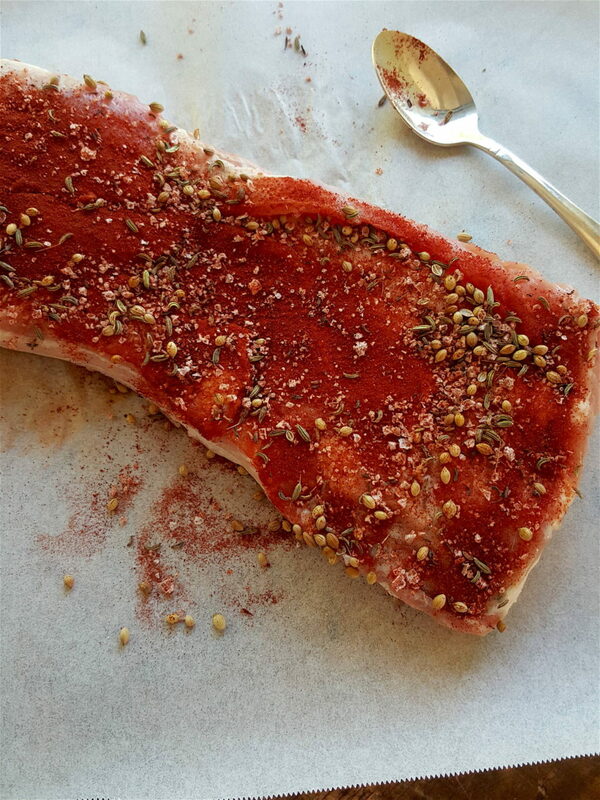 If the skin fails to crackle properly, carefully finish it under a preheated grill. You might find it easier to snip through the crackling with scissors. Then use a sharp knife to slice through the meat. 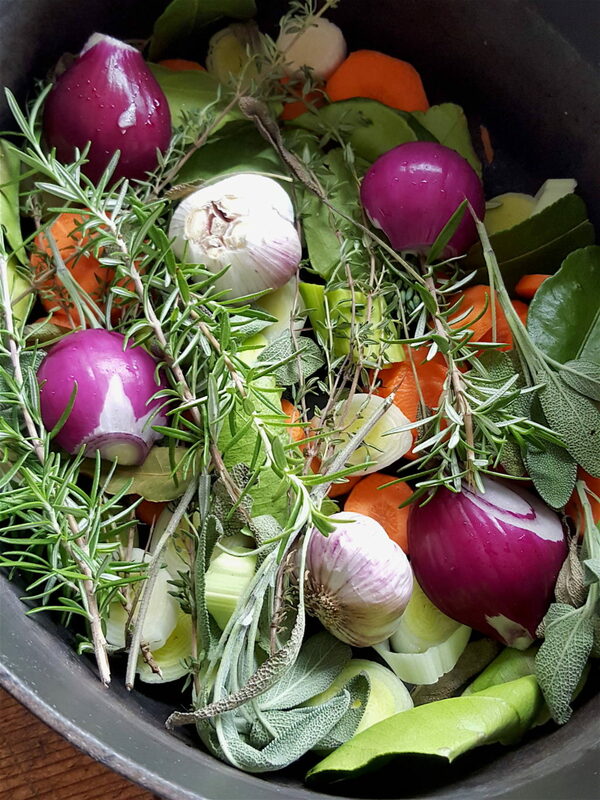 You can serve the vegetables in the casserole if you like – they will be full of flavour – but drain them well by tilting the casserole, and tip them onto a plate lined with paper towels. 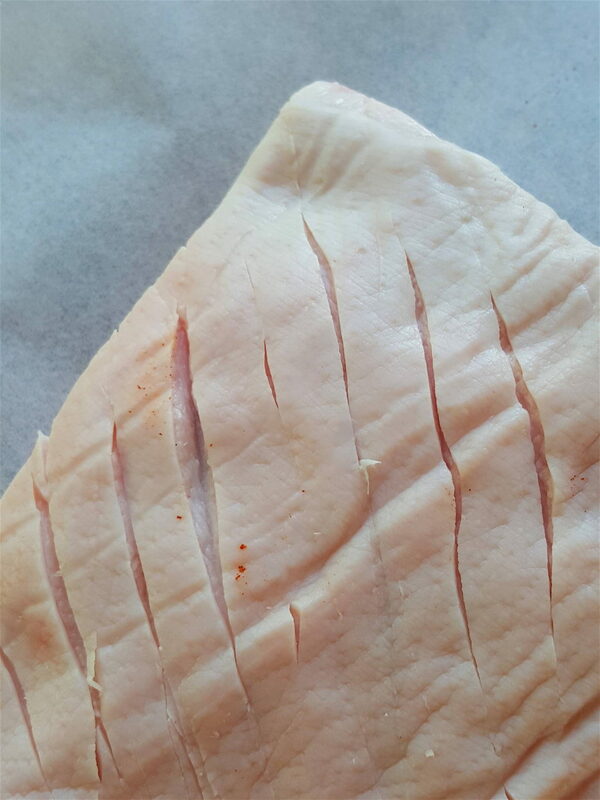 It’s important the fat is NOT slashed right through to the meat because if it is, moisture will come out and prevent the skin from crackling. Snip, snip, snip those noodles (don't get caught!). Long noodles, long life.. but who cares 'cause short noodles are easier to eat! Hey artisan producers ... get your products entered in the food awards. Cut off end of June.